This map is intended as a general guide and should not be used on a site specific basis. Hydrogeologic systems are complex and can vary considerably in relatively short distances. 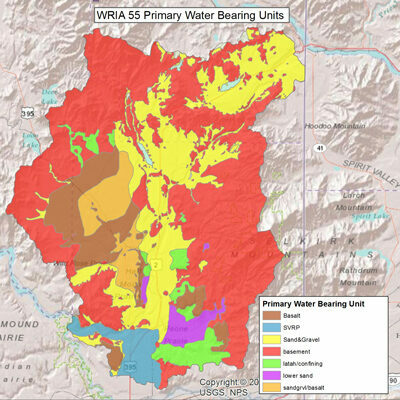 This map was developed from well logs found in the Washington Department of Ecology Well Log Database, surficial geology maps, and the following regional hydrogeologic studies.